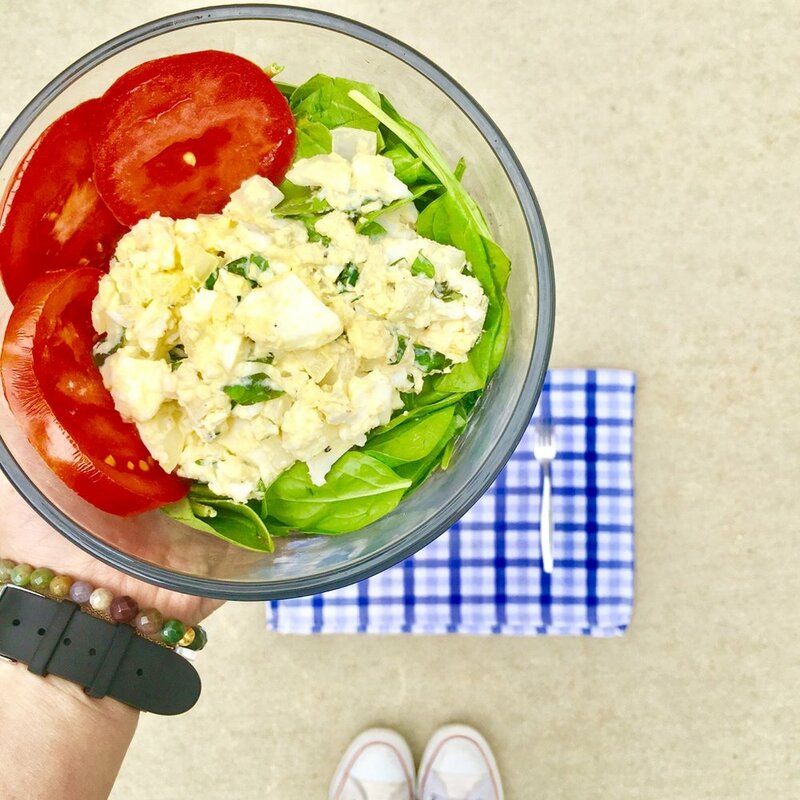 I love throwing together a quick egg salad for lunch. This recipe is high in protein (from the pasture raised eggs), healthy fats (from the avocado), and loaded with vitamins and minerals from the onions and basil. Using avocado makes for a creamy egg salad without needing processed mayonnaise! Mash the hard boiled eggs in a mixing bowl. Add all other ingredients into the bowl and mix to combine. Serve on top of a bed of greens or on toast or in a wrap!